An Interview With WNBF Pro And Top Money Maker Dave Goodin! 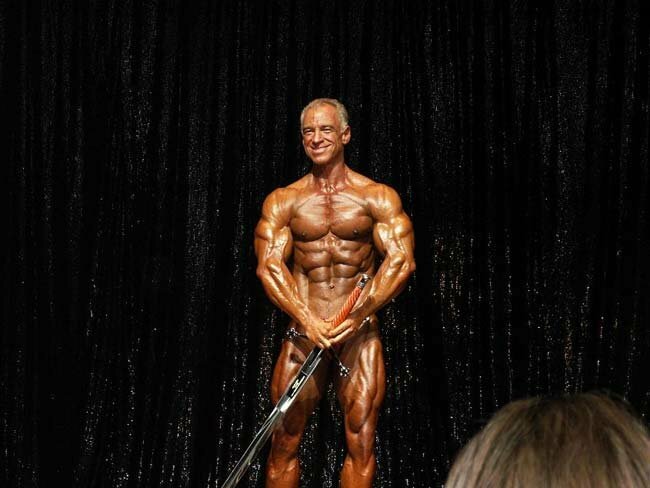 Dave Goodin is a 3 time WNBF world's winner and the top money winner in natural bodybuilding history. I had a chance to chat with him earlier this year. Learn more about him, his successes, his issues with the WNBF and much more. Natural bodybuilding has grown significantly in the last decade. Now there are multiple organizations and shows all around the world. Most of the champions of pro natural bodybuilding are not recognized by even bodybuilding fans. This is mostly due to the multiple organizations of natural bodybuilding & lack of media coverage. In this series of articles I will interview several champions from several different organizations so bodybuilding fans may become more familiar with these champions and gain insight into their training, nutrition, and pre-contest strategies. Dave Goodin is a 3 time WNBF worlds winner and the top money winner in natural bodybuilding history. I had a chance to chat with him earlier this year. [ Q ] Dave, you are the most successful WNBF pro in history. Your longevity and consistency are unrivaled. You hardly ever place out of the top 3 and always come in spectacular shape. With so many bodybuilder&apos;s we see huge swings in their condition from one show to another. Is there anything in particular that you can give credit to for this consistency from show to show? I know what it takes to get in that kind of shape. I had won the NPC Texas State Championships Overall twice before I started competing in the WNBF. As a drug-free athlete you have to be shredded to be competitive in the NPC. I knew how hard I had to work and how hard I had to diet to get into that condition. Whenever I&apos;m getting ready for show and I start feeling sorry for myself about how hungry I am, or how tired I am, I think about my fans. They are expecting the Texas Shredder to show up. I can&apos;t give them anything less. I can&apos;t give myself anything less. It keeps me focused on doing all the things I have to do in order to be ready. 2007 OCB Texas Shredder Classic Review! The 2007 OCB Texas Shredder Classic Bodybuilding, Fitness And Figure Contest was held on May 5th in Austin, Texas. [ Q ] Many bodybuilders start to decline during their 40s. You are 47 and you have not declined at all, in fact you seem to have gotten even better in the past decade. Have you done anything differently in regards to your training and nutrition in your 40s as opposed to what you did in your 30s? Yes, there are a couple of things. Number one, I cut back on the number of workouts per week. During the off-season I train 3 days a week. Getting ready for a show I weight train 4 days a week. The second thing is that a few years ago I started following some of Dr. John Ivy&apos;s recommendations from his book Nutrient Timing. [ Q ] What did you find most helpful from that book in regards to nutrient timing? I have a masters in exercise physiology from the University of Texas. Dr. Ivy was my supervising professor. So there were things that I already knew and had been using for years. But the big thing for me was having the carb/protein drink that&apos;s recommended during the workout, and also adding carbs to the post workout protein drink. I&apos;ve always had a post workout protein drink. During the off-season it would contain a good amount of carbs, but precontest I would cut the carbs out for a better fat burning effect. In Nutrient Timing, Dr. Ivy explains that the carbs suppress your cortisol so you don&apos;t get as much protein breakdown, and he says there&apos;s evidence that the carb/protein mixture he recommends actually increases fat utilization. [ Q ] Your symmetry is outstanding. At the pro level the judges don&apos;t look for what your strengths are but instead, seek out weaknesses. Your physique has no glaring weaknesses whatsoever. Did you ever have body parts that you considered weak points and what did you do to change them? When I started training for bodybuilding, I didn&apos;t really have anyone helping me. I was just learning it all on my own. I didn&apos;t really like training legs and I was afraid to go deep on squats. But after my first few shows the first year (I placed 2nd and 3rd in all of them) I decided that if I didn&apos;t grow some legs I was never going to win a show. I bought Tom Platz&apos;s book and started squatting super-deep. I also put my leg workout on Monday and made friends with it. Legs are now my favorite body part to train and I&apos;ve been doing them every Monday for the last 24 years. [ Q ] I remember the first time I met you when you guest posed at my first show: the teen class at the 2001 Mid America Muscle Classic and I asked you what I could do to bring up my legs. You said, "If you want to bring up your legs & you are going to stay natural you are going to have to teach yourself to tolerate some pain." That always stuck with me & every time I go into the gym to work legs I aim to put myself through h*ll. I&apos;m sure you&apos;ve had some crazy leg workouts over the year? Is there any one workout in particular that sticks out to you? I like doing brutal leg workouts. In the mid 80&apos;s I worked legs with a guy named KC Nix. He outweighed by about 80 lbs. Legs was the only body part we trained together, but we had a weekly contest of trying to make the other guy puke by training so hard. I never puked! I remember one workout that I was doing 3 sets of 20 rep squats with 225 lbs. That may not sound like much weight, but I always squat well below the legal depth for a powerlifting squats, so it is more difficult than a parallel squat. Anyway my last set of 20 was pure h*ll. When I finished I had several drops of blood on my neck... but no cut or scratch. I still don&apos;t know how that happened. Another time I was working out with my buddy CBX. There was a guy video taping our workout. That really got the competitive juices flowing and I cranked out 40 reps with 1000 lbs on the leg press machine. 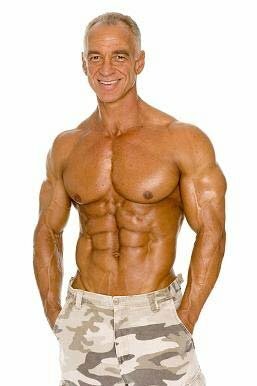 [ Q ] You have had such a successful career as a natural bodybuilder. Did you ever consider using illegal anabolics? If so, was their any particular reason you decided to abstain? Yes, I did seriously consider steroids. In my fifth year to compete I lost a tie breaker at an NPC national qualifier to a guy who was really juiced up. The guy went on to place 2nd at the NPC USA the following week. I was really upset, and was thinking that if I had just 5 more pounds of muscle, that guy wouldn&apos;t touch me and I&apos;d be capable of being competitive to win on the National level. My wife and I agreed that if I was going to go any further, I&apos;d have to do some steroids. I called a powerlifting buddy of mine in Beaumont. I knew that he used them and wanted to get his input on what to take and where to get it. He told me that I didn&apos;t need them, that they were about to be a controlled substance and that he heard that drug-testing was going to be done soon. That was all the convincing I needed. I had never really considered it before that point, and have certainly never considered it again. And, I can&apos;t tell how happy I am that he helped me with that decision! [ Q ] Every year you promote a WNBF/INBF Pro/Am show. It always brings in well over 100 competitors and over 500 hundred fans. Talk about what it&apos;s like to promote such a great show? Does the reward of seeing all this hard work come to fruition compare to the reward of say winning a show? There is nothing that I do... or have ever done that stresses me out as much as putting on my show. I had been competing for 16 years when I started promoting the Texas Shredder Classic. I have judged, expedited, & helped with many aspects of shows, but you have no idea how much work goes into a bodybuilding show until you are the promoter. Part of my stress is that I want it to go perfectly. The other thing is that I&apos;m not good at multi-tasking. I&apos;m good at focusing on one thing. That&apos;s one of the reasons I&apos;m good at bodybuilding. But promoting is a whole different animal. It&apos;s much harder for me than getting ready to compete. Every year as the contest gets closer I have more and more work to do and I&apos;m wishing that I wasn&apos;t promoting the show. But when the show finally starts, I&apos;m loving it! I&apos;m always so proud of my staff and so proud of the WNBF/INBF athletes! There are so many wonderful people in natural bodybuilding it&apos;s absolutely amazing! [ Q ] You recently were featured in a huge article in the September issue of Ironman Magazine. This is an opportunity that most natural bodybuilders never get as there is hardly any publicity given to natural bodybuilders or the natural bodybuilding organizations. Have you received any feedback from readers of the magazine? How did the opportunity to be featured in Ironman come about? Dude, I have gotten so much great e-mail from that article! People are so happy to see a true drug-free bodybuilder featured in Ironman! The response has really been overwhelming. I got the opportunity because the author of the article, Ken O&apos;Neill, is a big fan of Ironman Magazine. He came up with the idea of doing the article, and then I told him that Ironman editor-in-chief, Steve Holman, and I were friends back in the mid-80&apos;s. Steve had done an article on me after I won the &apos;88 NPC Texas, and again in &apos;96 after I started competing in the WNBF (before the restrictive rules). So, Steve Holman told me that they would be interested in the article but I would have to fly out to LA to shoot with photographer Mike Neveux, at my own expense. I felt like it would be a great boost for my business (and I really needed the boost) so I did it. Ken and I met several times for the "interview". It always felt like just a couple of hours hanging out and talking to a friend, except that Ken took notes. [ Q ] Many people don&apos;t yet know this, but you were actually suspended by the WNBF for appearing in Ironman Magazine although you did nothing but praise them in the article. What possible reason could they have for suspending you? Well, it&apos;s in the WNBF rules that we are not supposed to appear in any publications other than those owned by Chelo publishing (the same company that owns the WNBF & INBF also owns Natural Bodybuilding and Fitness, Exercise for Men, Best Body, & Men&apos;s Exercise) without permission, or we will be suspended for 2 years. Like I said, my business needed the publicity so I asked permission. I explained to Steve Downs (WNBF Chairman) that I badly needed the publicity for my business, and that the article would be great publicity for the WNBF/INBF and for Natural Bodybuilding Magazine. I told him that I thought it would reach a lot of people who would otherwise never hear about us... kinda like what they (the WNBF) did when they started having a booth at the IFBB Arnold Classic. He flatly turned me down. I decided to go ahead with the Ironman article to help my business. I saw the article before it went to press and it was so good for the WNBF/INBF that I was hoping for less than a 2 year suspension. But apparently the fact that I asked permission, was denied, and did anyway, really pissed them off and they gave me a 3 year suspension. That&apos;s a long suspension for a 47 year old bodybuilder. I wasn&apos;t looking for any preferential treatment because of my status in the WNBF. I was fully prepared for a 2 year suspension, but hoping for less because the article was so good for natural bodybuilding. Since they arbitrarily tacked on an extra year I would guess that maybe they don&apos;t want me competing in the WNBF anymore. [ Q ] That just blows my mind. How could you possibly turn down the opportunity of a lifetime to be featured in a major magazine? Did they provide you any explanation why they denied you & suspended you when other WNBF pros have appeared in magazines other than those owned by Chelo publishing? Everybody asks me how they could possibly expect me to turn down that kind of opportunity... The reason that they denied me permission was that Ironman Magazine is not an exclusively natural magazine. That argument didn&apos;t make a lot of sense to me. If you open up any copy of NB&F you&apos;ll be able to count anywhere from 12-30 photos of &apos;roided out IFBB Pros or top NPC athletes in the supplement ads. If you get the right issue you&apos;ll find an ad for the IFBB Arnold Classic. If you go to the Arnold Classic you find a gigantic booth for the WNBF/INBF and Chelo Publishing. It appears that it&apos;s ok for them to associate themselves with the "not exclusively natural", but it&apos;s not ok for us to do the same. The other thing they said was that Ironman Magazine had never supported natural bodybuilding. Downs said that they had never given a dime of sponsor money for any WNBF/INBF event. I was wondering why they (Ironman) would possibly want to do that if our athletes couldn&apos;t appear in their magazine. After my suspension I also asked why Marlon Hospedales was not suspended for appearing in Muscle and Fitness, why Jelena and other figure pros where not suspended for appearing in Oxygen. They&apos;re not the only ones. I haven&apos;t received an answer to that one. [ Q ] Since the WNBF makes all their professionals sign a contract only allowing them to compete in the WNBF & appear in their magazines or else risk suspension, what compensation do they offer to their athletes for this exclusivity? We only get money if we place in the top 4 at the Worlds or top 3 at the other Pro shows. At my show I give money to the top 5 because it&apos;s only one class. It&apos;s not much money either. Even when I win, I&apos;m lucky to cover my travel expenses. I make my living as a personal trainer. If you factor in the days of work that I miss to go to a competition, I lost money on 16 of 18 WNBF shows that I competed in. So there I have to go back to the benefits of allowing us to appear in other magazines. If we had more exposure sponsors would be willing to put up more money and promoters could increase the Pro prize money. [ Q ] Since WNBF pros can only appear in a select few magazines, this must really hurt their chances for exposure. How many WNBF pros have endorsement deals? I don&apos;t know of anyone in the WNBF who actually has a paid endorsement deal. A handful have deals where they get free supplements. In the IFBB there are guys that make enough on their endorsements that they have car collections. I hear that Jay Cutler has like 5 or 6 Hummers. He&apos;s also in all of the magazines... including Natural Bodybulding. At this point I&apos;m still planning for my 2007 show (that I promote) to be sanctioned by the WNBF/INBF. They haven&apos;t told me otherwise. I told Charlie Carollo that I don&apos;t want to break ties with the WNBF. But, I also just signed an endorsement deal with Muscle-Link supplements. Muscle-Link is owned by Ironman Magazine. Under my contract I&apos;ll be appearing in at least 3 articles a year in Ironman, as well as appearing in the Muscle-Link supplement ads and in stock photos for various articles. View Muscle-Link Products Sorted By Top Sellers Here. If the WNBF doesn&apos;t change their policy, I guess I won&apos;t ever be eligible to compete with them again. That would be a shame. I think the best thing that could come out of my suspension is that the WNBF changed the policy and allow athletes to appear in other bodybuilding publications. It would help the athletes get endorsements, it would help the promoters get sponsors, and it would help grow the WNBF and INBF, not to mention helping Natural Bodybuilding & Fitness Magazine and natural bodybuilding in general. View Dave Goodin&apos;s BodySpace Here.